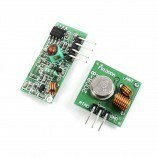 RS 232 Signal to TTL Convertor Module extensively used in Serial Communication between PC and any TTL Compatible Device. 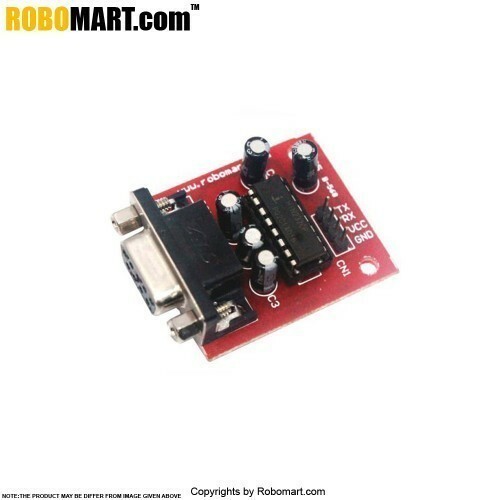 Ideal for microcontroller board designed by Robosapiens India. The control circuit for the module is based on Max232 circuit which makes it a full duplex RS232 to TTL converter. In telecommunication, RS-232 is the traditional name for a series of standards for serial binary single ended data and control signals connecting between DTE and DCE. Operates Up To 120 kbps. Two Drivers and Two Receivers. Low Supply Current 8 ma Typical. ESD Protection Exceeds JESD 22− 2000-V Human-Body Model (A114-A). 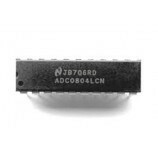 Upgrade With Improved ESD (15-kV HBM). and 0.1-F Charge-Pump Capacitors is. Terminals, Modems, and Computers small and portable in size. Converts RS232 to TTL logic and vice versa. Two Receiver and two transmitter. Baud Rate up to 1228800 bps. 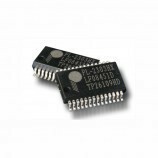 Best suited for devices compatible with TTL serial communication like controllers.